Keeping in mind that this needs to be a practical custom bike, I could have kept the stock exhaust, or maybe gone for the new Remus Hexacone full system costing £666 from Performance Parts (www.performanceparts-ltd.com) – that would have given me space to throw a pair of panniers over it for more long-distance potential. 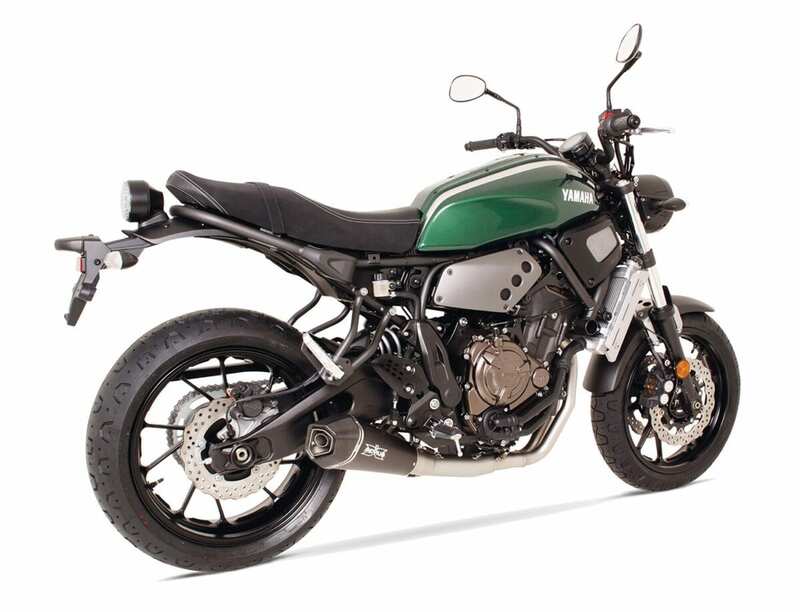 But there’s something about a high-level scrambler-style pipe on a bike like this, and I quite like the asymmetric look of having a pannier on only one side. I’ll worry about luggage space later. 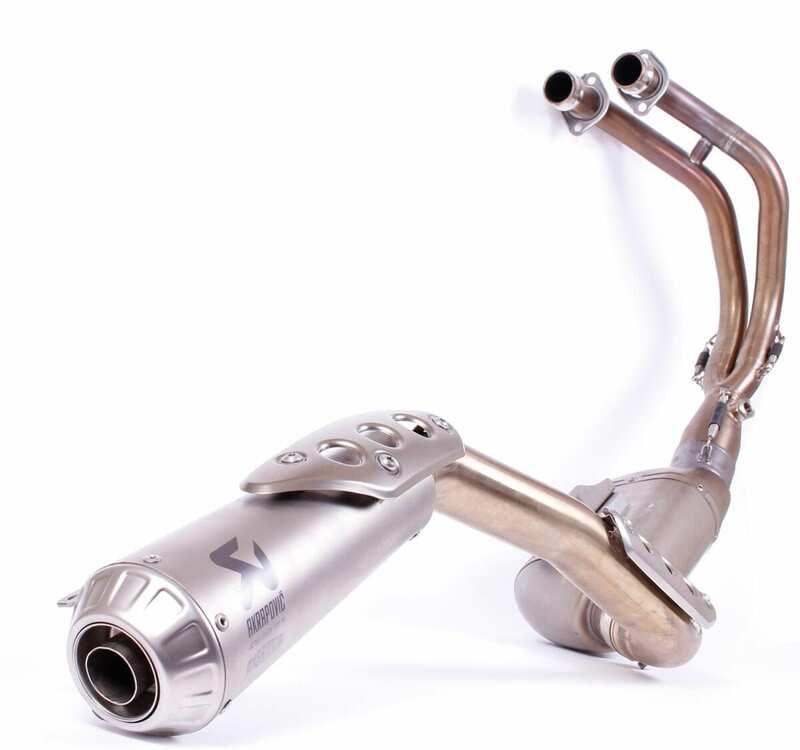 At £1099.99, the official Yamaha Akrapovič exhaust system is not cheap, but it is gorgeous. Made of stainless steel with a titanium sleeve, I think it transforms the look of the bike. And as I’m making this a single seat machine, with the pillion pegs removed it’s looking even tidier. It does also save some weight – at 5.92kg, the pipework is 1.36kg lighter than OE. 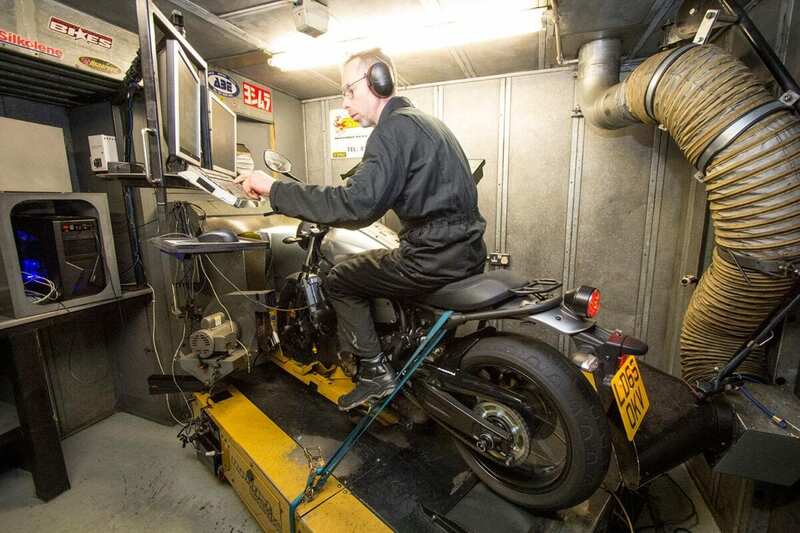 As I wanted to get dyno figures before and after, I fitted the system between runs on the rolling road whilst at BSD (www.bsd.uk.com) – that meant the luxury of a bike ramp, but it’s a fairly simple job. There’s no need to remove the radiator, and as the bike is so new, the four manifold nuts came off easily. The gaskets are reusable too. 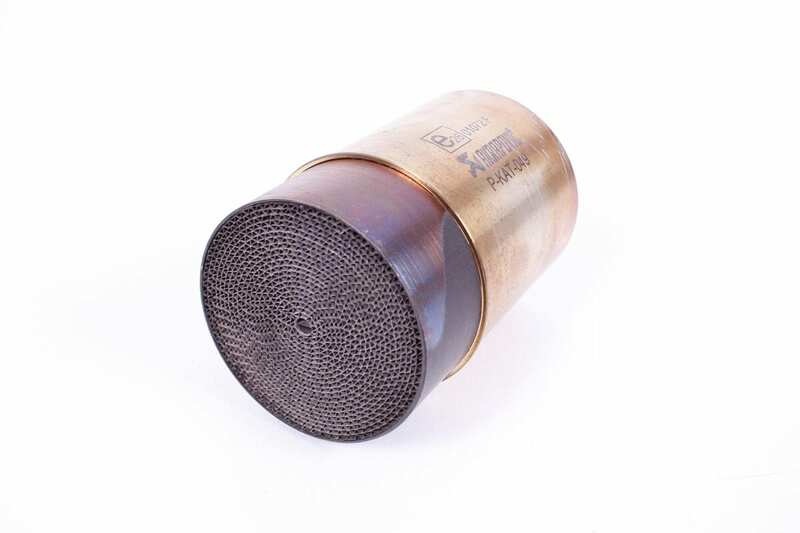 You’ll benefit from a decent spring-puller to get the three springs on, and it’s useful to have a second person to ‘encourage’ the under-engine muffler’s mounting points and the end-can’s bracket to line up with their respective holes. The catalytic converter is an optional extra, costing £99 – without it, the system isn’t homologated for road use (though there’s no law at the moment saying you must have one, and the can’s still stamped). I asked Dave Bowcock of Principal Insurance if not fitting it could cause issues with an insurance claim – he said that after-market exhausts don’t tend to affect premiums unless they increase power by more than 5%. All alterations should still be declared when getting a quote, but unless the cat’s omission affected the performance by this much, leaving it out shouldn’t be an issue. 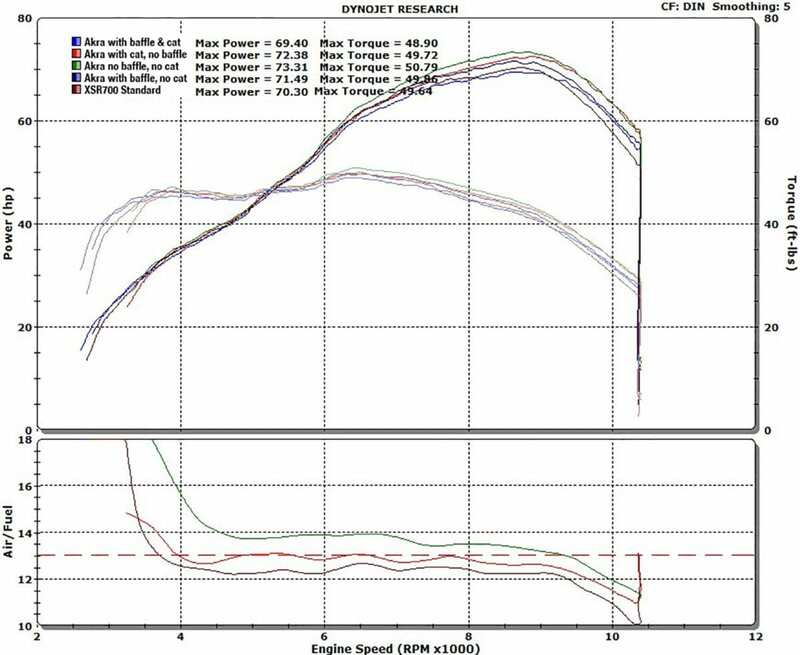 As standard the XSR made 70.3bhp @ 8750rpm and 49.6lb-ft @ 6500rpm (Yamaha’s claimed figures are 73.8bhp @ 9000rpm and 50.2lb-ft @ 6500rpm). The bike runs rich at higher revs, and while it’s not the most efficient, it wouldn’t cause any problems for the engine. After letting the system cool down, I fitted the Akrapovič – the first tests would be done with the baffle and the catalytic converter in. A quick run up before testing and the difference in sound was fantastic – besides looking great, the deep throb from the idling parallel-twin was absolutely superb. The figures were surprising though… in this configuration, the engine performed worse than standard, making 69.4bhp and 48.9lb-ft. It also got worse with each run as heat built up. The standard exhaust is designed to have a cat in, and Yamaha would have spent a lot of time and money developing the bike’s fuelling to suit it. Getting the baffle out proved difficult – I wouldn’t recommend it. Next, we took the baffle out, which wasn’t easy. 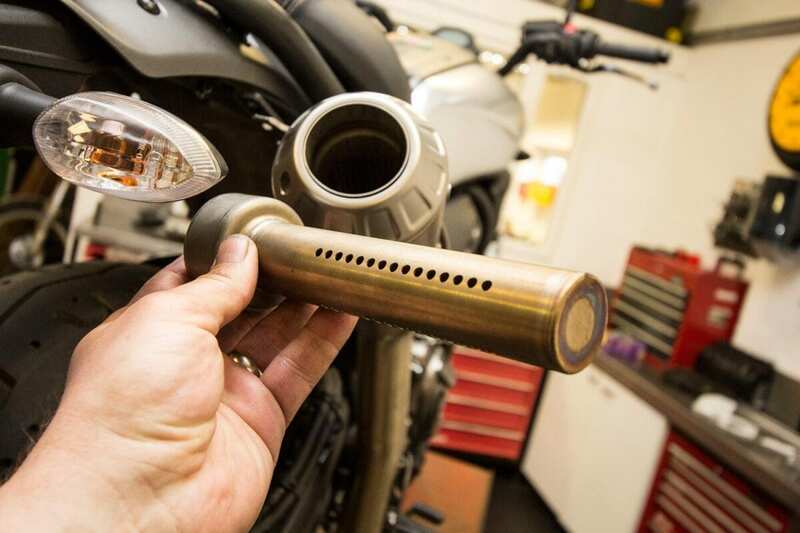 Unlike many cans that have a lightly tack-welded bolt holding the baffle, a rubber plug hides a spot weld on the Akra. Once drilled out, the baffle was still stuck fast, but both race engineer Mark Brewin and I needed to know what difference it would make. It took a pair of mole-grips and a large hammer to eventually get it out, by which time the tube at the end of the baffle was rather dented. A shame, but it needed to be done for a thorough test, and I can’t help thinking that it was intended to be removed, otherwise it would have made more sense to be permanently TIG-welded all around the outside edge. Once removed, the restriction of the baffle is clear. We’d been unable to measure the fuelling with the baffle in, as it’s got a dead stop a short way in. 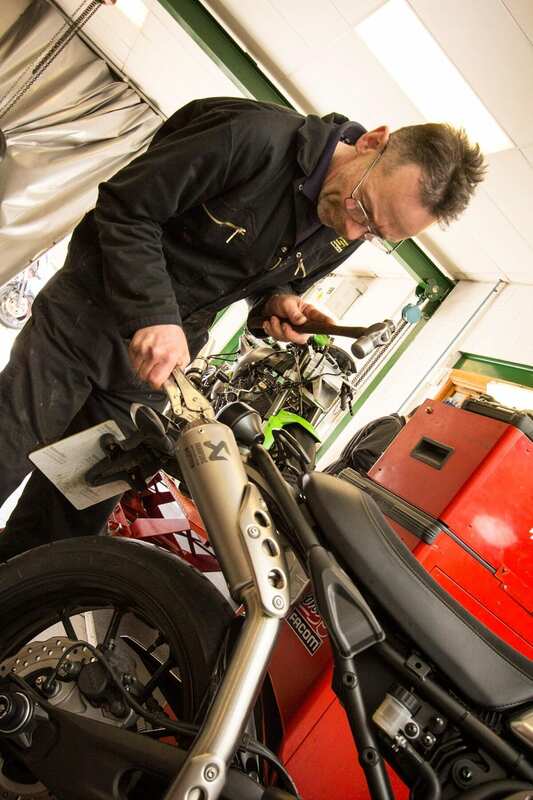 Once the baffle was out, back on the dyno we found that the engine’s fuelling was spot-on, obviously giving just the right amount of back-pressure, and making 72.4bhp / 49.7lb-ft. Mark told me that Akrapovič race cans are typically much less restrictive than this, as they can rely on the wadding around the end-can to kill the noise; there’s little space for wadding in this design as it’s more of an exercise in style, hence the dead stop in the baffle to reduce noise – Mark would usually cut the end off a baffle like this and spend time adjusting the fuelling to suit. The catalytic converter is a £99 optional extra. 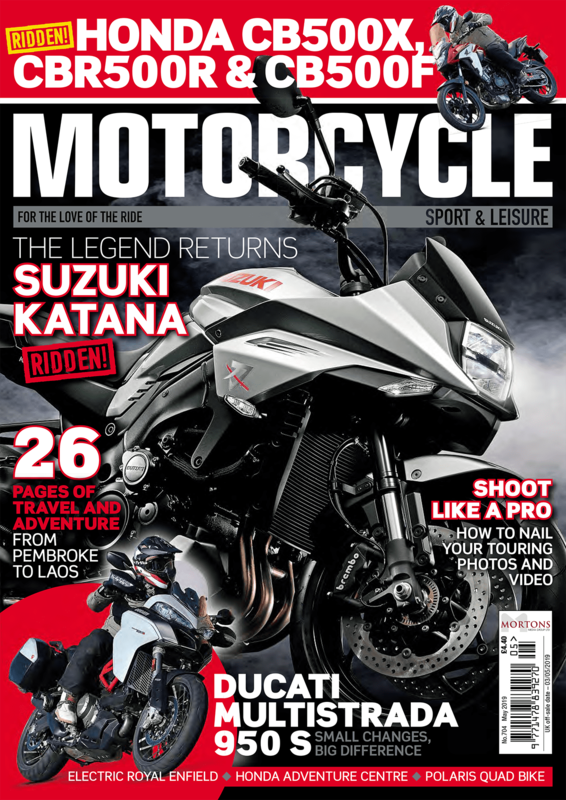 Back on the ramp, I popped the cat out – with the engine making 73.3bhp and 50.8lb-ft when the baffle was removed, the bike ran too lean below 7000rpm – a potentially harmful situation. At the time of writing, Mark would be unable to re-flash the bike’s ECU to correct it, but he could fit a Power Commander. Still though, performance gains would be relatively small. With the baffle in, and no cat, the bike made 71.5bhp and 49.9lb-ft. For me, this is the best balance – I’d recommend leaving the baffle in place as it’s too hard to remove without damaging it, and with the cat out the bike feels good. Again, we were unable to get reliable fuel readings, but it seems likely the fuelling would be about right in this configuration, and you’d save £99 by not buying the cat. 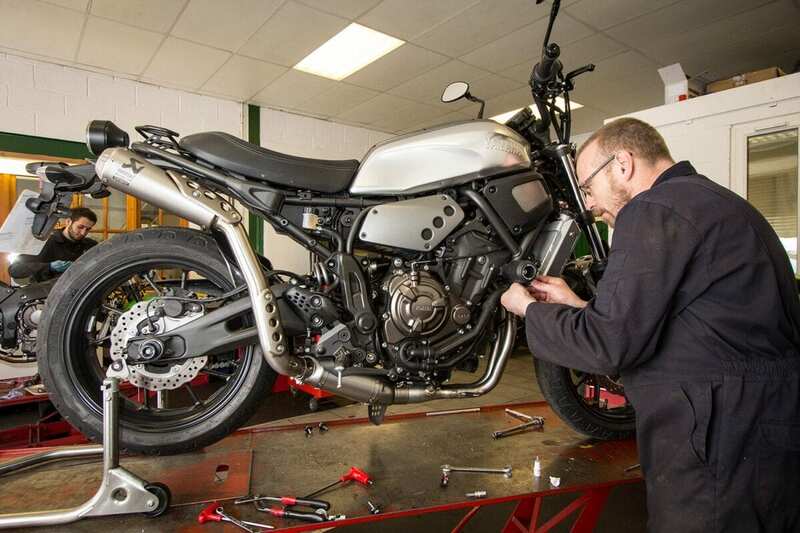 Mark points out that with any alteration at all to the exhaust system, if the owner notices any change in feel, especially at smaller throttle openings, it’s advisable to get it checked on a dyno. Fuel injection is much more complicated than the pilot, needle and jet of carbs, with the 3D maps tied to manifold air pressure, throttle position and RPM. Any aftermarket can that’s fitted with a baffle will, to a point, replicate the standard exhaust, so shouldn’t need work. But the Japanese are very good at making exhaust pipes that work correctly through the rev range, more so now with the under-slung exhaust boxes that allow them to put what they need inside. Sure, this exhaust is all about style, not performance, but in this market, on a bike of this design, it’s perfectly suited. With the baffle in the sound is lovely – really deep and throaty. With it out it’s awesome; what sounds a tame little thing stock becomes an absolute beast. It’s too loud with everything out, but I’ll probably run it fully open while I’m at Wheels & Waves… just to show off. Modifications: Yamaha billet chain adjusters, Mobile Centre 8702 headlamp housing, JW Speaker Cornering headlight, Akrapovič high-level exhaust system, Yamaha single-seat and rear rack.